As the climate changes, many of us are beginning to seriously consider replacing our real lawn with artificial grass. The advantages for the environment are obvious, with no polluting mowers or pesticides or watering required. Kids and dogs love it too, and even TV property guru Phil Spencer has an artificial lawn! 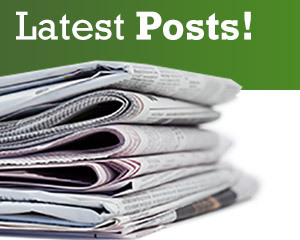 Before you buy, here are our top five tips for choosing the best artificial grass for you. Will your lawn be a playing surface for children and animals or is your new lawn intended for relaxed entertaining? This is the first question you need to ask yourself when thinking about laying artificial grass in Worcester or elsewhere. If you’re swapping out real turf for artificial, it’s important your new lawn can stand up to anything you can throw at it. A high-quality artificial turf will be more expensive up front, but you’ll get a much better return on your investment when you choose a quality turf with a good backing and variegated tufts that look life-like even close up. You may want to consider a dence pile thickness for kids and dogs, but if relaxed entertaining is more your style, then you’ll prefer the stability that a shorter pile offers for garden furniture. 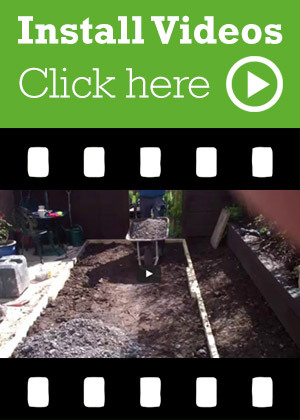 The denser the turf, the more aesthetic and robust it will be, but if you don’t have a high-traffic area garden, you can choose a less dense pile. We recommended that all grass should have an infill of silica sand as this helps maintain the pile structure of the artificial grass fibres. Low traffic areas that are more about looking at lawn rather than using then sand infill is not always necessary. The great appeal of artificial grass is that it’s low-maintenance, but that doesn’t mean it’s maintenance-free. If you have pets, you’ll want a grass that drains well to be able to wash away any pooh and pee. If there are trees around, you’ll need a grass that tidies up quickly and easily. If a cheaper grass needs more maintenance than a more expensive one, then choose the more expensive grass. You’ll be glad you did in the long run. Get a sample so you can check for colour and feel and shortlist your favourites. 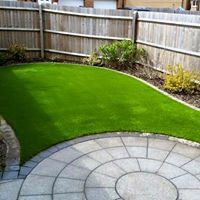 If you’re looking for the best artificial grass in Worcester, then you’ve come to the right place. 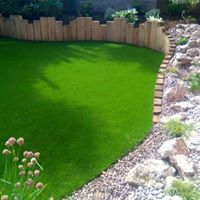 We can advise you on the best faux lawn for your garden, so get in touch and we’ll be happy to help.